A quaint little restro in a tiny lane in one of the city’s most loved areas : South Bombay. 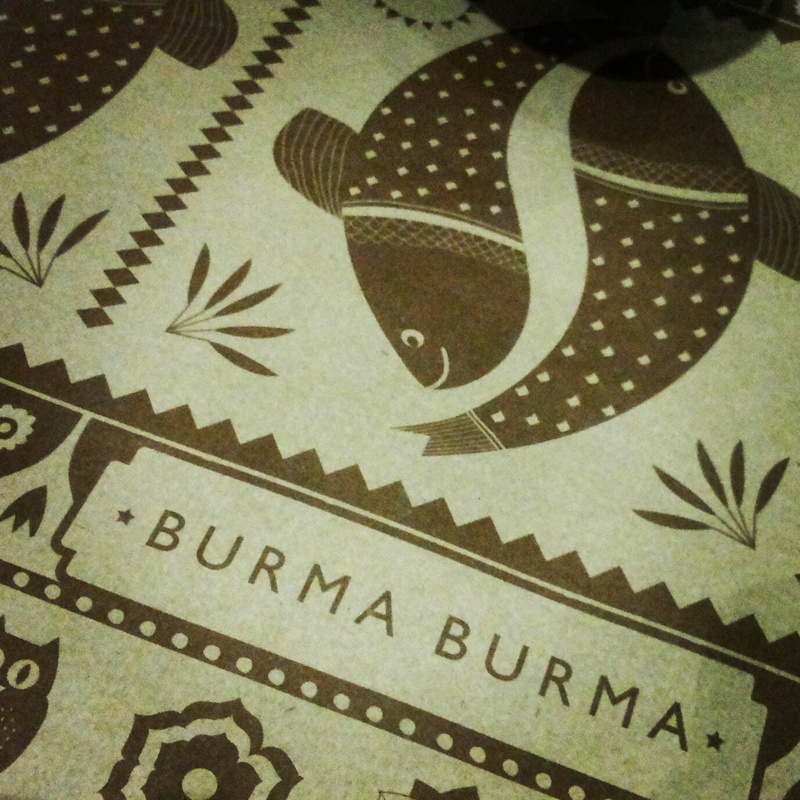 In times where people crave for variety and something unique on their palates .Burma Burma is a welcome change. A Pure vegetarian , speciality cuisine restro with cosy and pretty interiors is tucked in one of the bylanes of Fort and you would definitely have to hunt for it. Make sure you reserve your table well in advance. Being absolute novices when it comes to burmese cuisine we asked the owner to help us out which he gladly did.Trusted him to choose for us and we were rewarded. 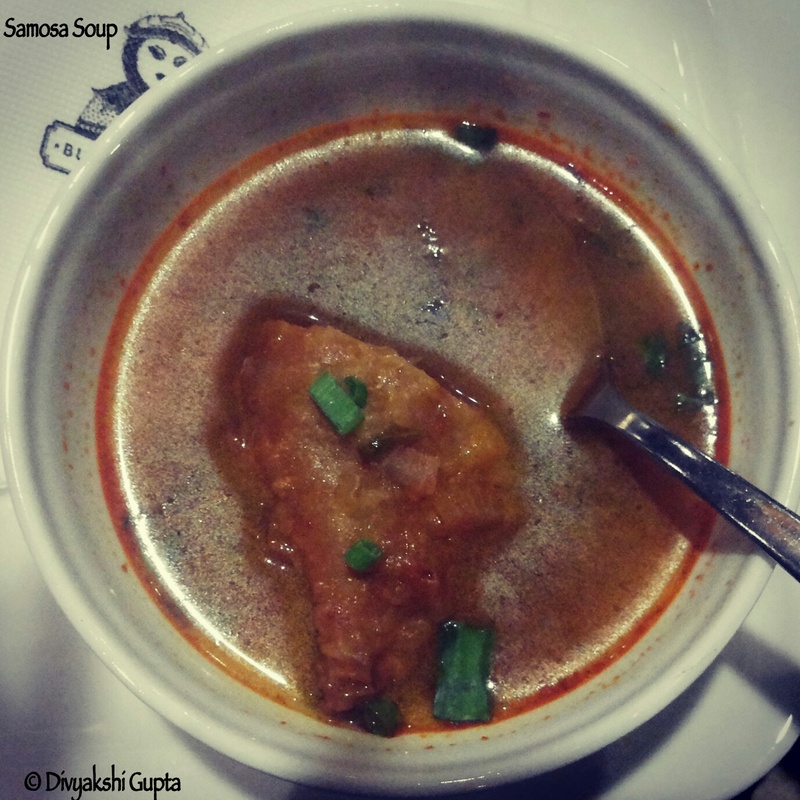 The samosa soup with a crunchy samosa dipped in the tangy soup did not disappoint. 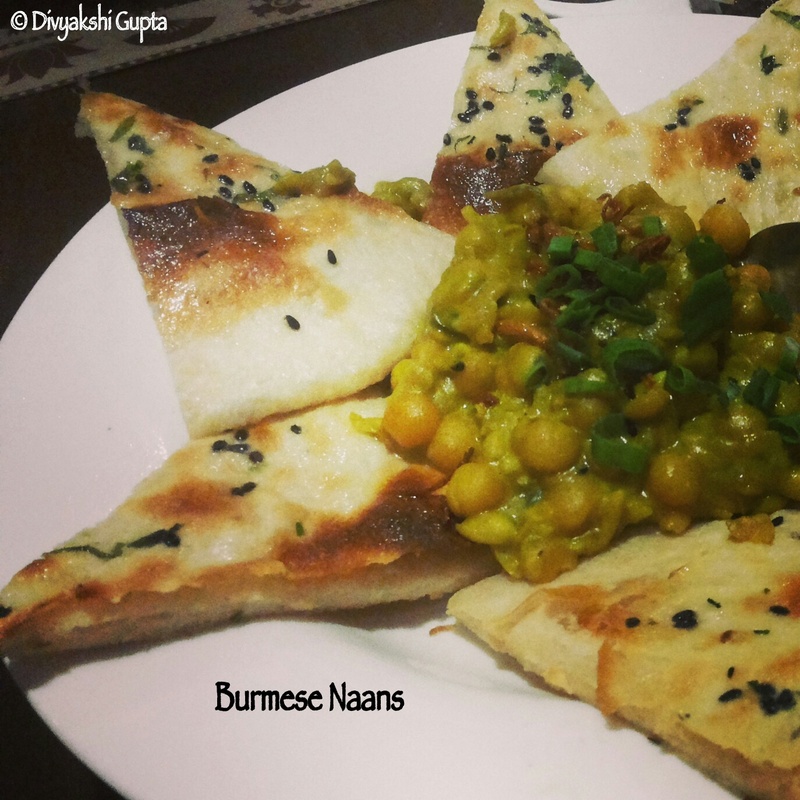 The burmese naans have adistinct flavour and are a hit with the sauces provided. Especially the peanut one: Scrumptious! 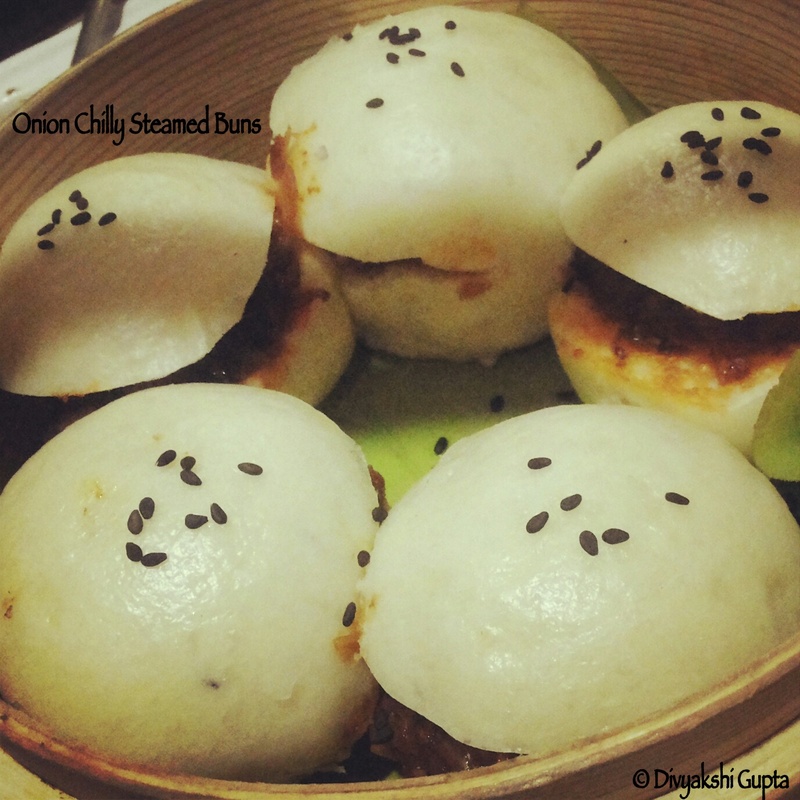 The onion and chilly steamed buns were clear winners of the meal. Extremely detectable flavors! Must try! 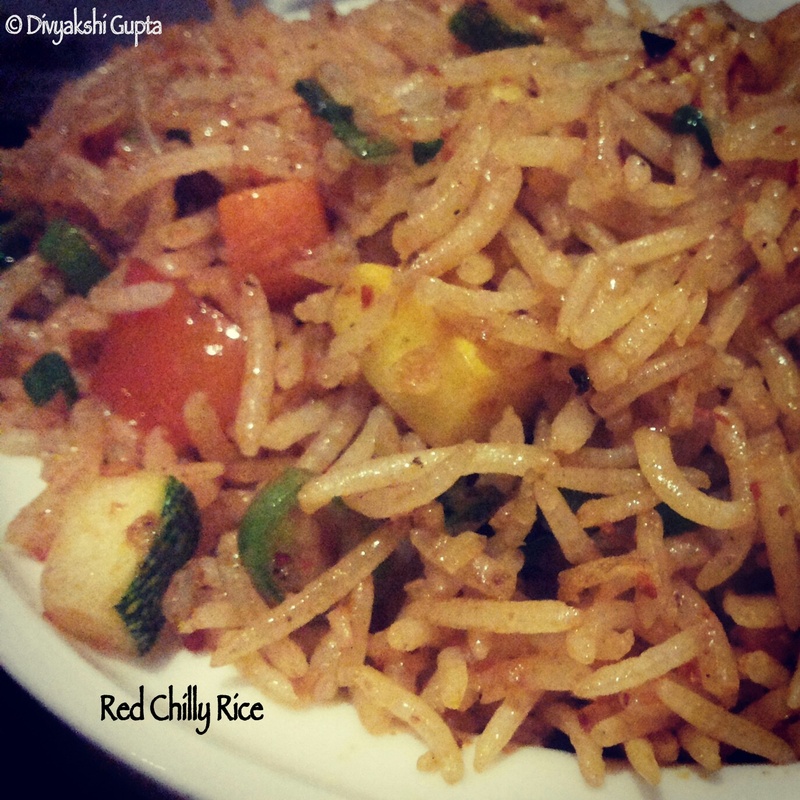 The main course suggestions were: Red chilly rice and vegetable curry. The rice were cooked till perfection: Full marks for that. 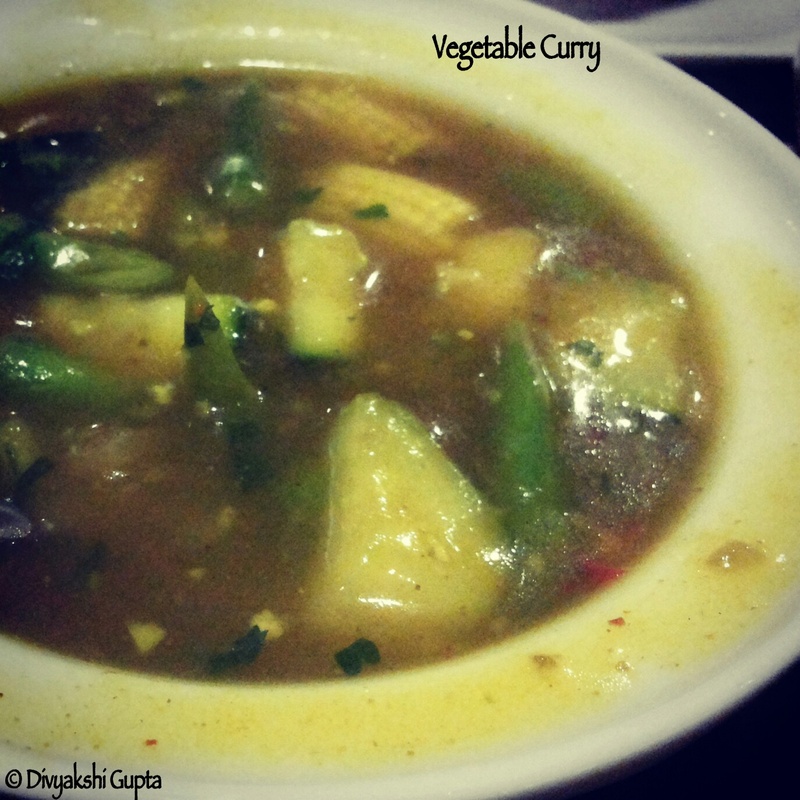 The curry with brocoli babycorn was average. The service is prompt and courteous. Please ask them to help you with the selection according to your tastes/ ingredient preferences, you wouldn’ t regret that. SOme may argue about the authenticity. For me, Even if the dishes were Indian-ised, I found the attempt commendable! 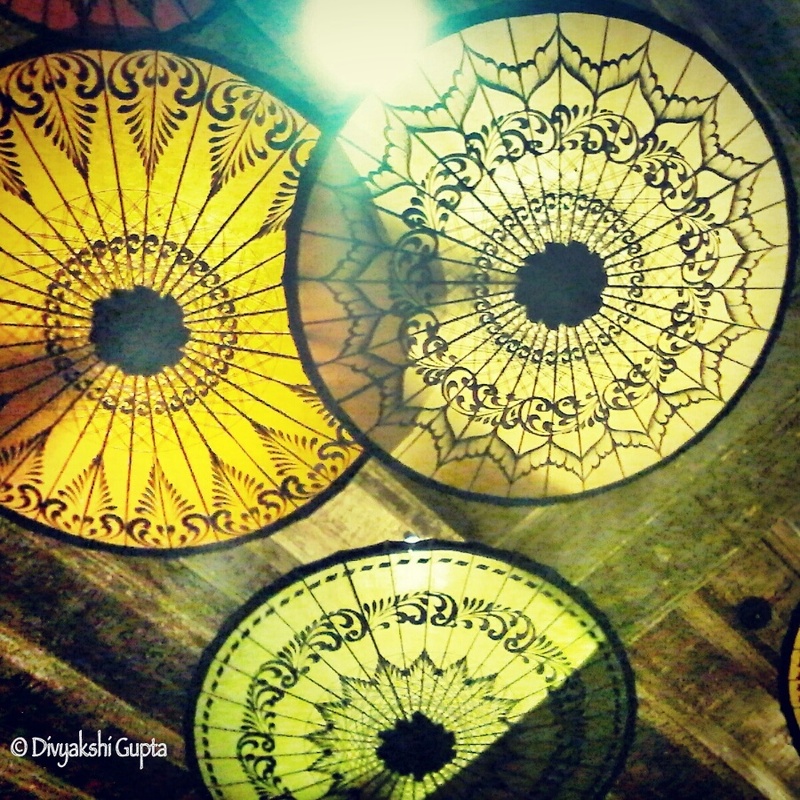 The ambience is lovely..reminding you of quaint lil monasteries.just hoping they get in brighter crockeries! That would be so awesome! Good food. One of my favorite vices. Thanx for sharing. I love Samosa and Idlee too much..